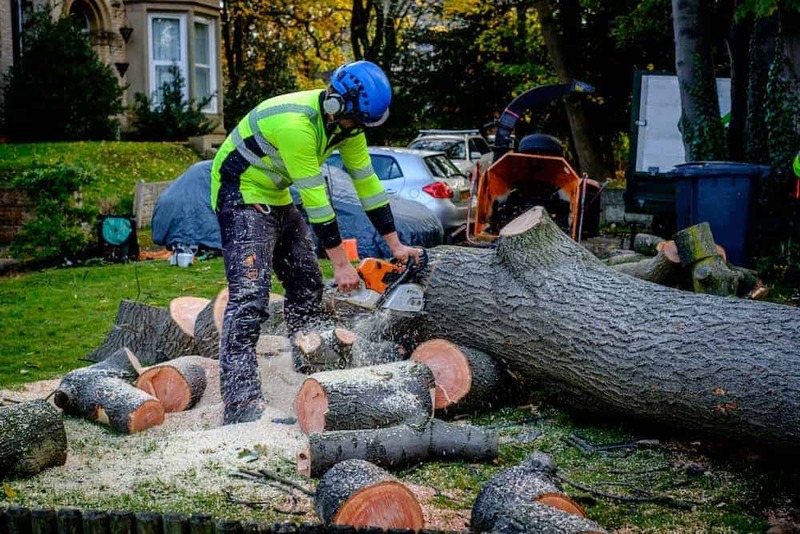 Tree Surgeon Manchester & Stockport – Welcome to Elm House Tree Services. We are reliable & highly skilled. If you are looking for a tree surgeon in Manchester then you are in the right place! At Elmhouse Tree Services Ltd, we understand that each tree is different, we’re not just talking about species, we’re talking about size, vigour, soil condition, previous work to the tree and more. Needless to say that each tree requires a bespoke plan that only a professional can provide. We offer our full tree removal service or tree pruning service to keep your trees in check. We are highly experienced in dismantling trees with many happy customers having used our tree felling and tree thinning services. We are fully qualified so rest assured that your tree thinning or tree removal will go without a hitch. Elmhouse is owned and operated by Andrew Hampson and his team who are trained and qualified tree surgeons with over 30 years of experience. Andrew and his team are on hand to provide you with the right solution to any of your tree’s problems. Many people are not aware that there is a British Standard (BS3998: 2010 Recommendations for Tree Work) for tree work that provides recommendations on how to prune trees, these guidelines help ensure that the tree remains healthy when you are trying to achieve a particular goal, such as reducing your tree to allow more light in to your garden. We are fully versed in these guidelines which will be of particular importance if your tree is protected as you will be required to work to them. We are experienced tree surgeons in Manchester that are on hand to help with any tree related issues, from a tree that is shading your garden that needs a good prune to a tree that has outgrown its space and needs removing, from a problem stump that need grinding to a hedge that needs reducing. We are fully qualified and comply with all relevant health and safety regulations so rest assured that your tree will have the best work done to it but in a safe and coordinated manner. As well as being fully qualified, we are insured to the tune of £5 Million offering you peace of mind. If you are looking for reliable and friendly tree care, Elm House Tree Services can help. We pride ourselves on being competitively priced when compared to other tree surgeons in Manchester & Stockport. We offer a quick response service to any contact made with us so you can get your problem fixed quickly. Need a reliable tree surgeon in Manchester? That’s us. We are City & Guilds NPTC qualified to give you piece of mind. We turn up with the correct tools and a plan for the job. We are fully insured for piece of mind. We deliver exactly what you had in mind to the highest quality. We make sure the left overs are dealt with appropriately. We are competitive on price and will consider price matching. We deliver so that our customers use us again and again. We are friendly, approachable and enjoy our jobs so are therefore a pleasure to be around! When looking for a tree surgeon in Manchester or Stockport we understand that you want to choose someone who is trustworthy and reasonably priced. We are tree surgeons that are just that. Each job has to be individually quoted for as we need to look at how big a job it would be to prune, grind or remove. We look at where the hedge or tree is situated and take into consideration buildings or other plants in the nearby vicinity that may need to be protected. We then also need to consider how easy or difficult it will be to get our equipment in through thin alleyways, over walls and any items along the way that we need to ensure is protected on our way in and on our way out. The cost of tree surgeons in Manchester & Stockport varies but we do try and price match wherever possible. Here is a summary of how much we charge roughly for jobs however please remember that each job has it’s own set of considerations. Stump Removal – as low as £70+VAT. View our blog post “How Much Does Tree Stump Removal Cost” to read about what we have to take into account when quoting. Tree Removal – starts from the region of £100+VAT and increases with the size and complexity of the job. Please read our blog post “How Much It Costs To Remove A Tree” to see some example of tree removal work we have completed in Manchester and their costs. Our tree surgeons work right across Manchester, Stockport and surrounding areas. We had previously done work in Altrincham, Stretford, Urmston, Trafford, Bolton, Cheadle and Glossop. We are City & Guilds qualified tree surgeons which means that we have all completed the relevant tree surgery courses to give you (and us!) piece of mind that all jobs are carried out safely. We also have in depth knowledge about species of trees and hedges to ensure that they are either removed in a way which ensures they do not return, or trimmed in a way that does not damage the health of the tree or hedge. We also take into consideration the timing of the work to ensure it is carried out at the best time of year for the hedge or tree. We care about our customers and therefore we return calls, emails and texts in a timely manner so you know what is happening at all times. If you have any questions before the job we are there to answer them and keep you informed along the way. Why not get in touch with our friendly tree surgeons in Manchester & Stockport today!